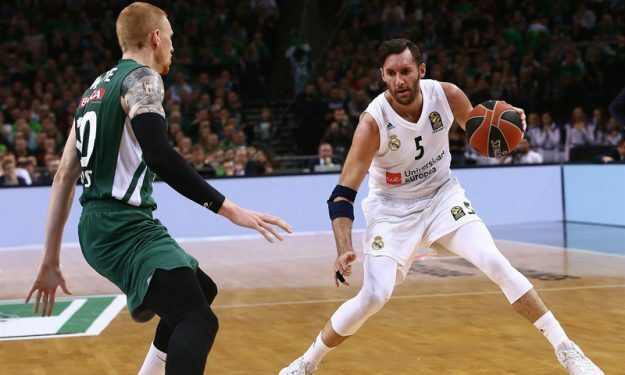 Real Madrid’s injury problems persist down the stretch of EuroLeague’s 2018-19 Regular Season. Real Madrid seems comfortable tied in second place of the EuroLeague standings, but still needs some positive results in the last eight Regular Season games to secure home advantage for the playoffs. On Friday, the Spaniards will host FC Bayern Munich without Rudy Fernandez. Pablo Laso talked about his player: “Rudy didn’t train because he has a tendon inflammation. It has been ruled out that it could be something serious. He has not practiced and I find it difficult to make him play tomorrow”. Real’s head coach added: “We have some problems, it’s normal. Anthony Randolph trained with some caution. Sergio Llull isn’t perfect yet and Trey Thompkins is out, but the rest of them practiced as usual”. On the other side, Devin Booker remains out after his left ankle surgery and Stefan Jovic is also sidelined due to a hip injury. Nihad Dedovic is facing a back injury and is questionable for the Round 23 contest. In other EuroLeague injury news, Joffrey Lauvergne won’t play for Fenerbahce Beko against Darussafaka Tekfen and Jan Vesely will be a game-time decision. The home team of Turkish matchup will miss Markel Brown who is out with a hamstring injury.